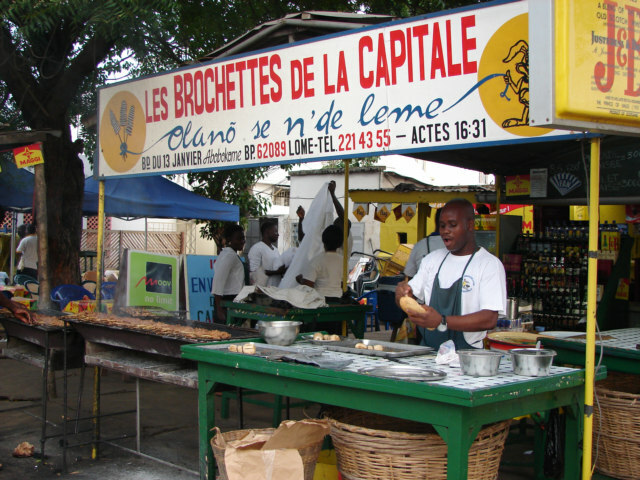 Why in the F#~K, would I pay 900 US dollars for a one-way Airplane Ticket to Togo and eat in a French Restaurant? I think I have said variations of this comment weekly in West Africa, sometimes it takes a gut level reaction for me to get in touch with my inner child. I want to SEE TOGO! Some casual email writer, who became very angry when one day I totally disagreed, and she started to insult me, call me names, and now say this. I find readers want me to be the same as them, and I am not, go figure everybody is unique, we disagree. Hmm, listen to the noise and think, please I came to Togo to see Togo. 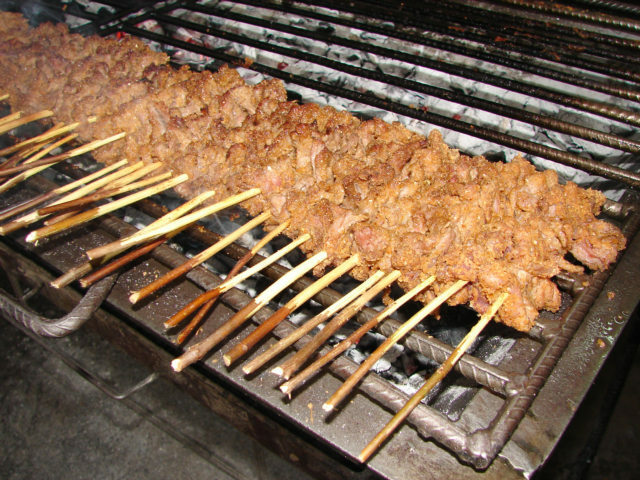 Food in a Togo Restaurant, served by Togo people, and prices at Togo prices. 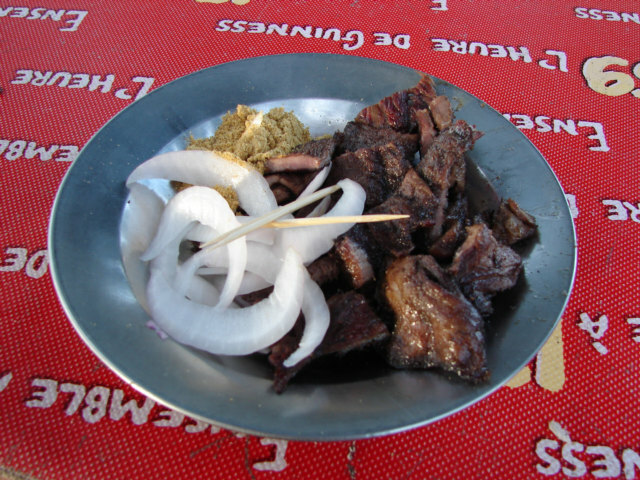 This is Togo Meat for one US Dollars at the Bronco Bar on the beach of Lome, Togo near the Ghana Border. This is Togo, the more trendy Togo, however at the core, it is Togo. I want what I want, I want to see Togo, I do not want to see a bunch of drunk French, German and UNHCR people sitting around in a wanna be rich in a poor country bar. Please, please, I am tired of you, can you focus, remember, tourist, we pay heaps of money to come see a country. I really do want to see Black People, I like all people, I want to see Togo people, and I did not come to avoid all of them! I have found some funny pages. - Surpassing All Previous F--k-Ups. Set and Drift – Refers to the behavior of a ship under the influence of wind and current; both deflect the ship from its intended course. ‘Set’ is the direction of that deflection, and ‘drift’ is the speed in knots of the displacement. A vector. Maybe sometimes the best way to see West Africa is not to describe in what to see, however what NOT to see. AVOID this place, it is gristle on a stick go to the Bronco Bar on the beach and hope the boys are still in business. 25 good and 75 bad information. I know what I like, but I have had 10 years of practice, the truth is everyone knows what they like, they just have trouble remember to say to themselves. There is an extreme amount of French, German, NGO, or European ways of avoiding Togo people. 1. Restaurant too expensive for Togo people. 2. Hotel with only things that a foreigner would like. I suppose the biggest way they stop is price, however there is number 3. 3. To have many prostitutes in the establishment, or waiting for Cadeau girls, this means or implies to a nice girl. This is somewhat hard to see until you invite a nice girl in to your hotel and she refuses to enter, then you in reverse start to understand the reputation of the hotel with the locals, this is the place where all the white me go with the pay-to-play girls. So in the haze of Africa sunset, the separations or reality and lies is difficult, however in a place where the normal amount of bad tourist information is at about 98 percent and not the normal 75 percent tourist need to remember.